We just published the initial version (beta: ver. 0.5) of an MPAA Content Security Audit Review Tool built in Microsoft Excel. The Motion Picture Association of America (MPAA) has a Content Security Best Practices Common Guidelines document that our client needed us to follow to help them pass a digital security audit review. The audit review was initiated by their client, a major media company, and was required for future work - making this a critical process. 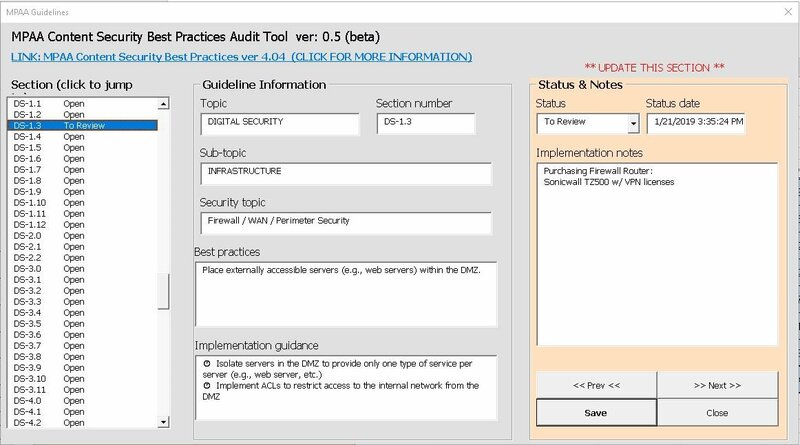 Read more about our security audit tool below or visit our MPAA Content Security Best Practices Audit Tool download page here. We were given the MPAA Content Security Best Practices PDF to work from. In order to help us track the process more effectively, we converted the PDF to an Excel file with a summary of where we were in the review process. The summary, pictured below, gave us a visual indication of how many items were compliant, not applicable, open, etc. As we update items on the list, the summary reflects the proper number of items. 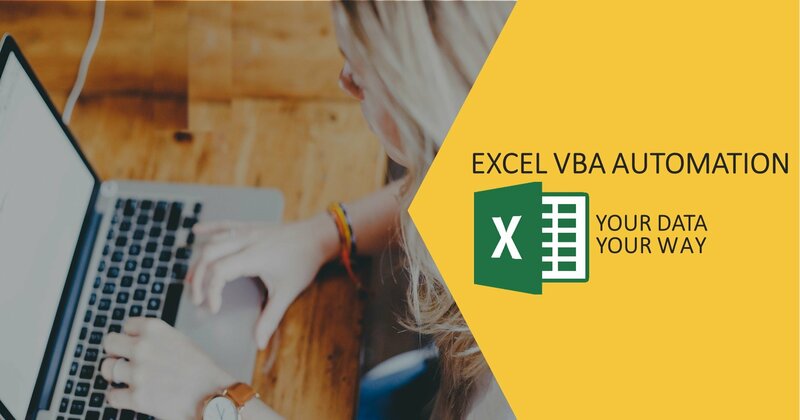 Excel is a great tool for tracking numbers and viewing our summary information. However, it is clumsy for viewing a single record of data - requiring moving side to side in the spreadsheet and, when data extends into multiple lines, problems viewing the data vertically as well. To allow for a more natural view of the data, we've created a simple user form to let you see the items and their respective status. Navigating to a new section is a simple as selecting it from the list. Changes may be saved using the "Save" button but actually occur automatically when you navigate away from the record. We are already making a series of update but wanted to put this tool out there. Check out the download page for a short-list of updates. If you have a suggestion or question, please use the form on the download page to contact us. Thank you! Posted in Consulting, Services, Tips and Tools and tagged cyber security, Microsoft Excel, mpaa, VBA.